With its large condenser capsule packed into a compact enclosure, the microphone provides a superior sound and may prove ideal for bloggers and mobile recordists. The mic features a large 1” diameter back electret condenser capsule, a 24-bit audiophile-grade A/D converter (with 44.1/48 kHz sample rate) and a built-in low-noise high-definition preamp. The iRig Mic Studio also sports a gain control knob and a multicolour LED level indicator, plus a headphone output with its own level control for monitoring directly from iRig Mic Studio itself. 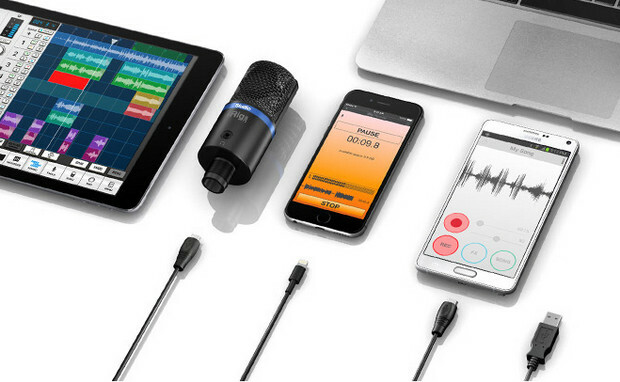 Compatible with almost every mainstream mobile and desktop platform, the mic comes with a female micro-USB port and an assortment of cables: Micro-USB to Lightning for iPhone, iPad and iPod touch; micro-USB to micro-USB OTG for Android (requires either an Android 5 or Samsung Professional Audio device); and micro-USB to USB for Mac and PC. 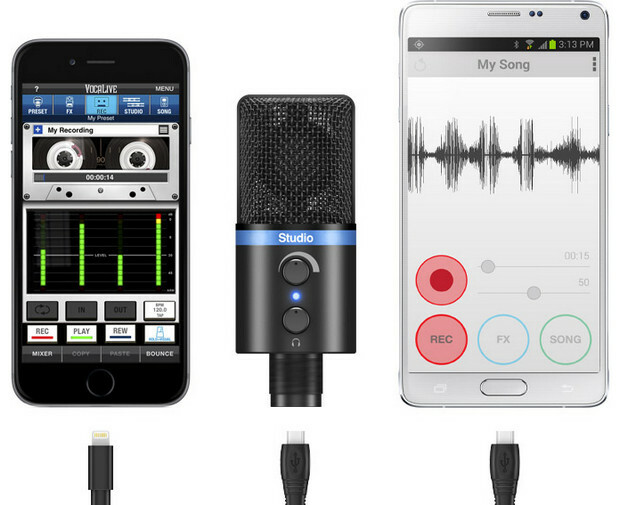 Several apps are bundled with the mic, including VocaLive, EZ Voice and iRig Recorder and there’s also a portable tabletop tripod stand. iRig Mic Studio comes in silver or black and will be available soon for $179.99/€144.99 (excluding taxes). Can you notify me when irig mike studio will be available at guitar center and stores like this?